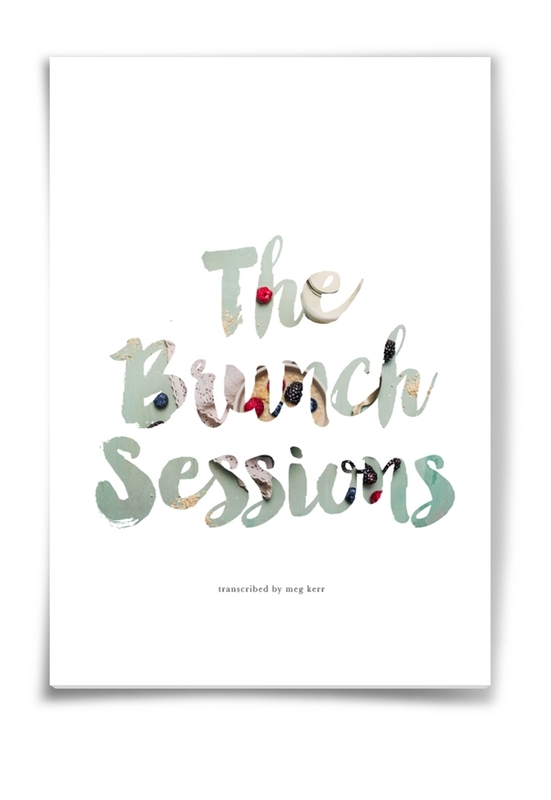 While working at Community Agency in Toronto I was privileged to work on cover ideas for the book "The Brunch Sessions." The book is written in interview style, and the writer wanted the feel for the cover to be like having a comfortable yet intimate conversation. I worked to create a feeling of calm and comfort, reflected by the soft colour pallet, minimalistic typography and warm subject matter of the images chosen. To the right is the cover that was chosen, (click to enlarge), while below are some of the other ideas that were also developed. M: When did you first find out that you’d be a parent? Do you remember? J: Yes, I do remember sitting in Dr. Iverson’s office. M: Wait, you didn't take a pregnancy test? You went to the doctor? J: They didn’t have home pregnancy tests then.